Tillerman & Co. in Grand Rapids, Mich. acquires Jackson Flexible Products in Jackson, Mich. with the intent to grow the manufacturer of engineered rubber products for the aerospace, fluid power, oil and gas, chemical and automotive industries. We are pleased to keep jobs in Michigan and preserve the heritage of this exceptional manufacturing business -- Tillerman Partner Remos Lenio. Just five months after launching operations, Tillerman & Co. has completed its first transaction with the acquisition of Jackson Flexible Products, Inc., a Jackson, Mich.-based supplier of custom-formulated rubber parts used primarily in the aerospace industry. Terms were not disclosed. Grand Rapids, Mich.-based Tillerman & Co. announced it acquired Jackson Flexible Products from its founder, Ronald Jakubas, who started the company in 1969 to supply Aeroquip Corporation, now a division of Eaton Corporation. Jakubas, who plans to retire, met with several strategic buyers that were interested in consolidating Jackson Flexible’s operations into their own locations. Instead, Jakubas chose to sell to Tillerman & Co. because it was committed to keeping the company in Jackson. Jackson Flexible supplies more than 3,500 parts to more than 120 customers across a variety of industries. The majority of Jackson Flexible’s parts use proprietary formulations that meet the most demanding performance standards for temperature tolerance, flexibility, chemical resistance and appearance. Tillerman partnered on the transaction with Jackson Flexible’s general manager Timothy Dickerson, who will serve as chief executive officer of the company under the new ownership. 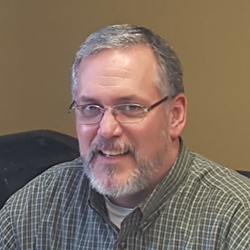 A chemist, Dickerson also brings 15 years of technical sales experience to his new position. He also served as vice chairman of the American Chemical Society’s Rubber Division and serves on the advisory board of Ferris State University’s respected Rubber Engineering Technology program. Dickerson is a graduate of Aquinas College in Grand Rapids. Barnes & Thornburg provided legal counsel to Tillerman & Co. on the transaction. Comerica Bank provided financing for the transaction.